Buff is a leading company, the first in the world created a unique, seamless, multifunctional bandana. This is a universal multi-purpose bandage that can be worn in many different ways. The advantages of multifunctional bandanas-transformer is appreciated by cyclists, bikers, skiers, snowboarders, skiers and runners. Bandana-tube is very popular with the children, because experts use a Buff popular designs with the heroes of cartoons - you do not have to persuade the child to cover the head in the sun, now he would be happy to wear any bandana is a scarf on the face, head or neck. And in the winter the baby will never lose their warm scarf Buff. Buff also produces a separate series of bandanas for hunters and anglers. Wearing a bandana - transformer on face and neck in the form of scarf you protect yourself from pesky bugs, wind, drizzling rain and bright sun. Design bandanas Buff unique - you with ease and convenience can wear bandanna scarf Buff on the head 12 in a variety of ways. In extreme cold, piercing wind or dust storm to wear a bandana-transformer face – elastic microfiber material tightly fix Buff on the head and you don't constantly have to correct him. In cold weather use warm hood-scarf with a mask on the face, made of windproof material fleece Windstopper or Polartec. Bandana-transformer on the face great for cyclists, snowboarders, skiers, skiers, bikers, etcD. If you need extra protection from frost or scorching sun, the Buff can be easily transformed into a hat. In a few seconds a special move that will master even a child, you will turn a bandana into a hat. Learn more about all the ways of putting bandanas on the head you will find in the section of our store "How to tie a bandana". Buff the company is constantly expanding its product range. Annually new kinds of Buff! This year the collection was enriched by a variety of hats: thin sports caps, Jogging, wool and fleece. You can choose as a summer hat for running, and a very warm winter. Hood, headband, hat or scarf, buy which is not difficult, presents in numerous designs, additionally, the consultants of our online store will talk about the details and materials of construction and help select a suitable design. Now you will struggle with the question "how to tie a bandana? "– everything is limited only by your imagination. The Buff headband perfectly protects from external impact during Jogging, Hiking, skiing, snowboarding, a Bicycle, a motorcycle and when doing other extreme sports. Buff is also perfect for people who lead an active lifestyle and prefer a sporty style and convenience. In the model range Buff, you can find both universal design and special women's headbands and baby headbands with original artwork. Buff is made with a patented process of sewing of the special, consisting of 100% polyester yarn, called microfiber. The thickness of each of the fibers of this fabric is less than 1 Dtex (Dtex is the number of Denier: in this case, means that 9 km of this yarn weigh less than 1 gram). The pores of the microfiber from the outside so small that they do not miss the water and the wind, at the same time, the pores inside are large enough to ensure high levels of breathability. Cordes (100426) — seamless bandana-pipe of a special series Original BUFF®. Original BUFF® is the most popular universal headgear of all series. Made of microfiber - protects from wind, dust, moisture and ultraviolet light. Controls the microclimate during cold and warm weather, wicks moisture. Fabric treated with silver ions for long antibacterial effect and prevents odor. Can be machine and..
Bandana-a scarf from the Polar. 2-ply construction: microfibre and Polartec Classic, stitched together. Easily stretched, firmly sits on your head and protects You from sun, cold, rain, wind and snow. Material: 100% polyester Technology Polygiene to maintain freshness, even when you sweat. Hand wash or machine wash at a temperature of not more than 40g. Do not iron. ..
Ghomala — seamless bandana-pipe of a special series Original BUFF®. Original BUFF® is the most popular universal headgear of all series. Made of microfiber - protects from wind, dust, moisture and ultraviolet light. Controls the microclimate during cold and warm weather, wicks moisture. Fabric treated with silver ions for long antibacterial effect and prevents odor. Can be machine and hand wa..
National Geographic Iran seamless bandana-pipe of a special series Original BUFF®. Original BUFF® is the most popular universal headgear of all series. Made of microfiber - protects from wind, dust, moisture and ultraviolet light. Controls the microclimate during cold and warm weather, wicks moisture. Fabric treated with silver ions for long antibacterial effect and prevents odor. Can be machi..
Kukuxumusu Alnanga — seamless bandana-pipe of a special series Original BUFF®. Original BUFF® is the most popular universal headgear of all series. Made of microfiber - protects from wind, dust, moisture and ultraviolet light. Controls the microclimate during cold and warm weather, wicks moisture. Fabric treated with silver ions for long antibacterial effect and prevents odor. Can be machine ..
Bandana-a scarf from the Polar. 2-ply construction: microfibre and Polartec Classic, stitched together. Easily stretched, firmly sits on your head and protects You from sun, cold, rain, wind and snow. Material: 100% polyester Technology Polygiene to maintain freshness, even when you sweat. Hand wash or machine wash at a temperature not exceeding 40°. Do not iron. ..
Buff Bandana made in the form of beveled seamless microfiber. For the production used nealley highly breathable and fast drying material with antibacterial impregnation with Polygiene Active silver ions. Such a model Buff autumn comfortable to wear as a mask on the face, and a bandage on his neck. All other ways of wearing the buff is also available for this model. ..
Winter bandana-scarf from the Reversible Polar Buff®. Reversible Polar Buff® is a two-layer headdress made of extra-stretchy microfibre sewn top and bottom to the cylinder fleece Polarteс® 100. Double-layer design creates airflow, allowing to maintain a comfortable body temperature and prevents heat loss. Thanks to its versatility, functionality and practicality Reversible Polar Buff® has gaine..
Bandana-a scarf from the Polar . 2-ply construction: microfibre and Polartec Classic, stitched together. Easily stretched, firmly sits on your head and protects You from sun, cold, rain, wind and snow. Material : 100% polyester Technology Polygiene to maintain freshness, even when you sweat. Hand wash or machine wash at a temperature not exceeding 40 °. Do not iron. ..
Winter bandana-scarf from the Reversible Polar Buff®. Reversible Polar Buff® is a two-layer headdress made of extra-stretchy microfibre sewn top and bottom to the cylinder fleece Polarteс® 100. Double-layer design creates airflow, allowing to maintain a comfortable body temperature and prevents heat loss. Thanks to its versatility, functionality and practicality Reversible Polar Buff® has gain..
Free Life / Harbor— winter bandana-scarf from the Polar Buff®. Polar Buff® bandana - pipe from the Original Buff®, sewn to the cylinder from Polartec® Classic 100®(70% microfiber and 30% Polartec). In cold weather, Polar Buff® maintains normal body temperature and prevents heat loss, thanks to the combination of microfiber and Polartec®. Thanks to its versatility, functionality and practicality Po..
Seamless bandanas Original BUFF® - the most popular and versatile headwear from all series. Made of microfiber protects against wind, dust, moisture and ultraviolet light. Control the microclimate in cold and hot weather, wick moisture. Fabric treated with silver ions technology Polygiene, ensuring long-lasting antibacterial effect and prevents odor. Can be machine and hand washable at 30-40°. .. Original National Geographic Sketch — seamless bandana-pipe of a special series Original BUFF®. Original BUFF® is the most popular universal headgear of all series. Made of microfiber - protects from wind, dust, moisture and ultraviolet light. Controls the microclimate during cold and warm weather, wicks moisture. Fabric treated with silver ions for long antibacterial effect and prevents odor. .. Original modification bandanas winter hats from the Combi Buff Neckwarmer bandana used as a scarf or bandana on the head, fastened by a lace. Multifunctional bandana made of soft fleece with fringe microfiber, which is inserted lace. Use this sports bandana-scarf as a bandanna on the neck, face or head. Military camouflage bandana, which is often used by representatives of the army special force..
Polar Buff® bandana - pipe from the Original Buff®, sewn to the cylinder from Polartec® Classic 100®(70% microfiber and 30% Polartec). In cold weather, Polar Buff® maintains normal body temperature and prevents heat loss, thanks to the combination of microfiber and Polartec®. Thanks to its versatility, functionality and practicality Polar Buff gained immense popularity among people, it can be u..
Seamless bandana-pipe from the Bandana Polar BUFF® c is a pointed area at one end. This multi-function bandana-transformer is more comfortable to wear on face or neck - it will be locked. Sharpening gives the bandana a classic look and prevents its rotation around the neck. Warm bandana with one side made of soft and fine fleece, with another single layer of polyester with patterning. Also wh..
Seamless bandanas Original BUFF® - the most popular and versatile headwear from all series. Made of microfiber protects against wind, dust, moisture and ultraviolet light. Control the microclimate in cold and hot weather, wick moisture. Fabric treated with silver ions technology Polygiene, ensuring long-lasting antibacterial effect and prevents odor. Can be machine and hand washable at 30-40°. The material does not lose color and elasticity, does not require Ironing. Original BUFF® can be worn around the neck and on the head as a neckerchief, scarf, mask, bandana, hat and Balaclava. Material properties allow the use of Original BUFF® at any time of the year, when doing any kind of sport, recreation, tourism or fishing. Bandana-a scarf from the Polar. 2-ply construction: microfibre and Polartec Classic, stitched together. Easily stretched, firmly sits on your head and protects You from sun, cold, rain, wind and snow. Material: 100% polyester Technology Polygiene to maintain freshness, even when you sweat. Hand wash or machine wash at a temperature of not more than 40g. Do not iron. Bandana-a scarf from the Polar. 2-ply construction: microfibre and Polartec Classic, stitched together. Easily stretched, firmly sits on your head and protects You from sun, cold, rain, wind and snow. Material: 100% polyester Technology Polygiene to maintain freshness, even when you sweat. Hand wash or machine wash at a temperature not exceeding 40°. Do not iron. Buff Bandana made in the form of beveled seamless microfiber. For the production used nealley highly breathable and fast drying material with antibacterial impregnation with Polygiene Active silver ions. Such a model Buff autumn comfortable to wear as a mask on the face, and a bandage on his neck. All other ways of wearing the buff is also available for this model. Winter bandana-scarf from the Reversible Polar Buff®. Reversible Polar Buff® is a two-layer headdress made of extra-stretchy microfibre sewn top and bottom to the cylinder fleece Polarteс® 100. Double-layer design creates airflow, allowing to maintain a comfortable body temperature and prevents heat loss. Thanks to its versatility, functionality and practicality Reversible Polar Buff® has gained immense popularity among people, it can be used as hat, scarf, bandana on the face and ears, Balaclava, mask. An integral part of winter clothing, suitable for any activity in the cold season. Bandana-a scarf from the Polar . 2-ply construction: microfibre and Polartec Classic, stitched together. Easily stretched, firmly sits on your head and protects You from sun, cold, rain, wind and snow. Material : 100% polyester Technology Polygiene to maintain freshness, even when you sweat. Hand wash or machine wash at a temperature not exceeding 40 °. Do not iron. Original modification bandanas winter hats from the Combi Buff Neckwarmer bandana used as a scarf or bandana on the head, fastened by a lace. Multifunctional bandana made of soft fleece with fringe microfiber, which is inserted lace. Use this sports bandana-scarf as a bandanna on the neck, face or head. 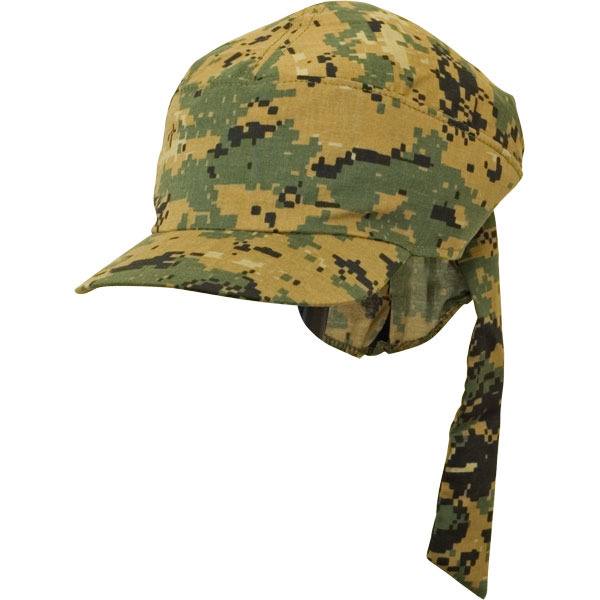 Military camouflage bandana, which is often used by representatives of the army special forces. Also the design of this bandanas are popular among fishermen and is perfect for fishing in cold and windy time of year. Polar Buff® bandana - pipe from the Original Buff®, sewn to the cylinder from Polartec® Classic 100®(70% microfiber and 30% Polartec). In cold weather, Polar Buff® maintains normal body temperature and prevents heat loss, thanks to the combination of microfiber and Polartec®. Thanks to its versatility, functionality and practicality Polar Buff gained immense popularity among people, it can be used as hat, scarf, bandana on the face and ears, Balaclava, mask. An integral part of winter clothing, suitable for any activity in the cold season. Seamless bandana-pipe from the Bandana Polar BUFF® c is a pointed area at one end. This multi-function bandana-transformer is more comfortable to wear on face or neck - it will be locked. Sharpening gives the bandana a classic look and prevents its rotation around the neck. Warm bandana with one side made of soft and fine fleece, with another single layer of polyester with patterning. Also when putting bandanas on the face you will find special vents for a more comfortable breathing - get mask-bandana. This type of universal bright bandanas for snowboarding popular among freeriders and musculista. Sports bandanas are the most versatile and fit most adults (head circumference 55-62 cm). Choose and order Buff Original. Worldwide shipping. Australia, Japan, South Korea, United Kingdom. We ship to all islands including Antigua, Barbuda, Great Bird, Green, Guinea, Long, Maiden and the York Islands. Easily at the cheapest cost.